Cash for Cars Edmonton is consider to be the best junk car buyers company which helps you keeping your driveway clean. 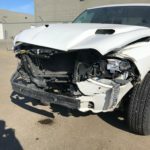 Unlike any other Damaged Car Removal Companies in Edmonton, ours is a type of company that helps you earn money for the junk car. We do Cars for Cash, Scrap Car Removal, Junk Car Removal and Auto Disposal. 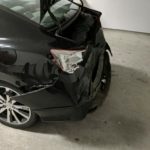 The damaged, dysfunctional, old car resting on your yard for quite a long time, that you call scrap, junk, or Unwanted Car we pay you cash for them. The heap of rusty, warped metal pieces you call trash is the possibility of profit to us and to you. Best of all is that we service Edmonton and area. Our service providers always has your back to remove the damaged car from the space you want to be vacant. It is not only your own yard that you get back, but a considerable amount of money for your Junk Car. You may consider us the group that keeps your yard clean – not in the conventional sense of cleaning or sweeping procedure but by taking away the junk you have been wanting to get rid of from your property in Edmonton, Leduc, Sherwood Park and Spruce Grove. As an added bonus, we buy junk cars in Edmonton that are old, damaged or dysfunctional that is lying in your yard. You may consider it as useless junk or debris, but it can actually bring you fortune. With just a single call, we will gladly make an assessment of your old car, pay for its worth, and let ours crap removal team take it off your yard for free! We provide the highest quality junk car removal service in Edmonton and the surrounding areas. environmentally friendly. Not only do thousands choose our services but because it’s Hassle Free, they refer us to their friends and family! We are committed to being Canada’s fastest and easiest way to get CASH for a scrap junk or unwanted car. We come to you, pick up your car, truck, van or SUV, tow it away and pay you CASH! We Are Hassle Free Service. Registration or Bill Of Sale is required. 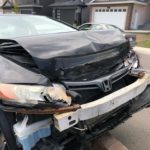 Free scrap car towing 24 hours a day, 7 days a week in Edmonton and sorroundings. Experienced Professional, Fast and Friendly Service. We provide free junk car towing. There is no cost associated with picking up your car, truck or van. Your car will be towed for free. We will usually tow within 2 hours in and around Edmonton. Vehicles whether they run or not. We accept all years, makes and models of vehicles, cars, and trucks in any condition; working, crashed, junked, it doesn’t matter! We work 7 days a week to make sure we can pick up your car when you need us to. We are pleased to announce that we service Edmonton and the surrounding areas, including Saint Albert, Sherwood Park, and Spruce Grove. Is the car donation tax deductible? We pay you CASH for your car and you are then able to take that cash and donate it to the charity of your choice. The charity you choose can give you additional information about tax deductions. What paperwork do I need to have my car picked up? Do I have to be there when the car is picked up? In order for the tow driver to be able to receive the title for the vehicle and the keys, and more importantly, to pay you in cash for your car value, we require someone be present when the vehicle is removed. We are a team of highly skilled and well-experienced professionals who have undergone special trainings to ensure that we will meet all your needs. We appreciate the trust you have given us, so with our techniques and innovative solutions, we will go the extra mile to provide you the best services. We cannot efficiently tow your junk car out of your property without the right equipment. Rest assured that our company has the latest tow trucks and high-end equipment for a hassle-free scrap removal of junk cars. We understand that you may have purchased your car for a high amount. In return, we guarantee the best price possible for it when it is no longer running. We are confident to say that among the several companies in Edmonton, Leduc, Sherwood Park and Spruce Grove, our company offers the highest amount possible. Our experts will do a thorough examination of your car, and we will give you the best amount for it. You may also give us a call for a free estimation.